The 2nd Annual Richard Waters New Music Festival – a festival of musical invention inspired by Richard Waters and his creation, the Waterphone. On Saturday morning my Facebook feed began filling with posts expressing shock and grief at the passing of Lee Hyla, a brilliant composer and a professor at Northwestern University‘s Bienen School of Music since 2007. I was a huge fan of his music, and I honored his album My Life on the Plains (Tzadik) in last year’s Best of Chicago issue. In a break from their usual programming Mopomoso presents an intriguing concert in two halves, with the first half from the Portfolio Improvisers group and the second featuring three fine guitar players from the UK (Arthur Bull, electric), France (Pascal Marzan, classical) and Canada (John Russell, archtop). Dice Factory consists of Tom Challenger (tenor saxophone), Dan Nicholls (piano) Tom Farmer (double bass) Jon Scott (drums). 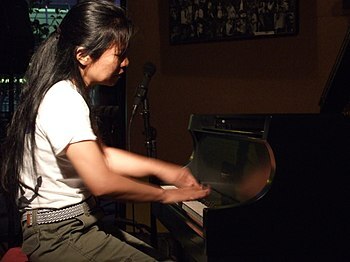 They play exploratory music covering influences from alt rock band Deerhoof to NYC pianist Vijay Iyer. Stories is an outlet for new music, uniting five of London’s most exciting improvising musicians. Their combined force creates an emotionally charged music full of nifty melodies, fruity harmony and propulsive grooves. 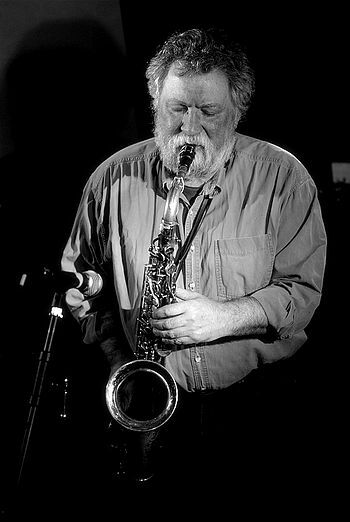 Monthly Vortex residency led and curated by saxophonist Evan Parker.